SAN FRANCISCO, Sept. 4, 2018 — (PRNewswire) — Netrolix Co-founder and Chief Technology officer Osamah Ali will be participating with Intel at the Artificial Intelligence Conference presented by O'Reilly and Intel from September 5-7 at the Hilton San Francisco in the heart of Union Square. Ali will be providing a live demonstration of the Netrolix AI-WAN® portal in action. The Netrolix AI-WAN® leverages a global footprint of over 68 Data Centers combined with over 20,000 nodes to create a secure and optimized network communications fabric over the internet. "When we adopted machine learning over three years ago, things really began to explode for us in a very positive way! The more we learned, the more we realized how much we, as humans get in the way due to our simple and static configuration capabilities," says Ali. "How can we presume to be aware of or know all of the things that may impact network performance and security? As human Network Engineers, we may look at five to ten factors out of the thousands of anomalies and events that impact networks today." When asked about why Netrolix chose Intel as a partner Ali replied, "We chose Intel chipsets because of their broad compatibility in the networking world, the consistency in the Linux* kernel across different chip sets, and their ability to run x86 software. Add to that the fact that Intel often offers chipsets with lower power consumption which help Netrolix with our IoT and unmanned aerial vehicles (UAVs) support, which all require nonstandard interfaces." 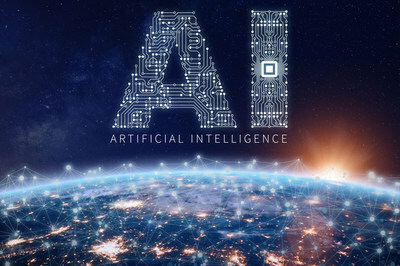 The Artificial Intelligence Conference which is being sponsored by the biggest tech companies in the industry such as AWS, IBM, Google, and Microsoft is a great venue for Netrolix to showcase the power of its AI-based architecture. "Our patented AI-WAN® technology can be used not only secure but also control and optimize private networks over the congested and untamed Internet of the world," says Ali.